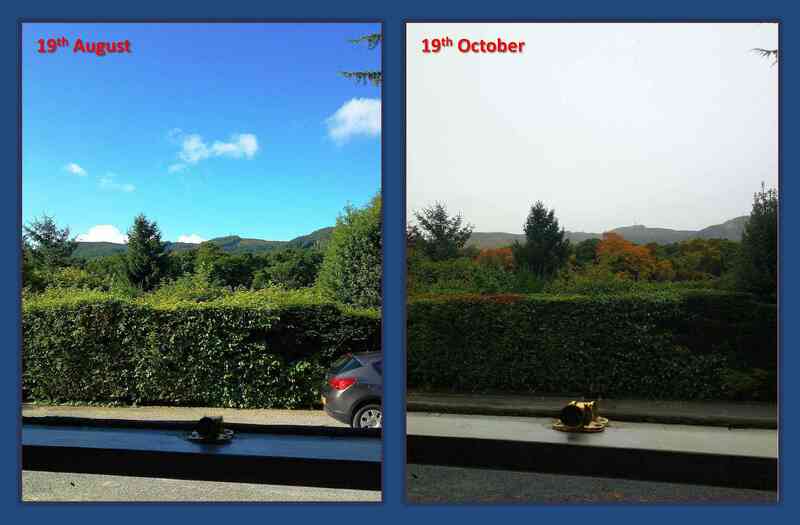 Our view from the Craigatin House and Courtyard office window separated by two months, what a difference 60 days make! 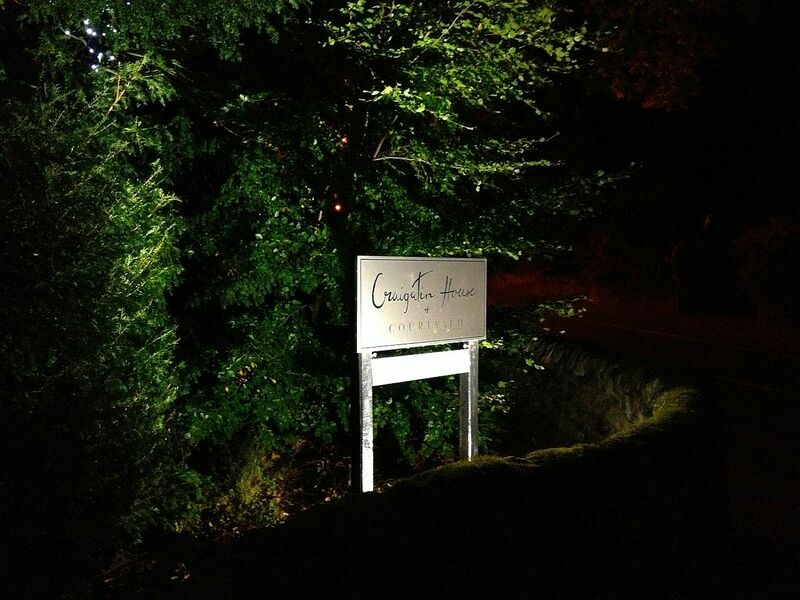 Some more beautiful Highland Perthshire scenery as Autumn descends upon Pitlochry town. 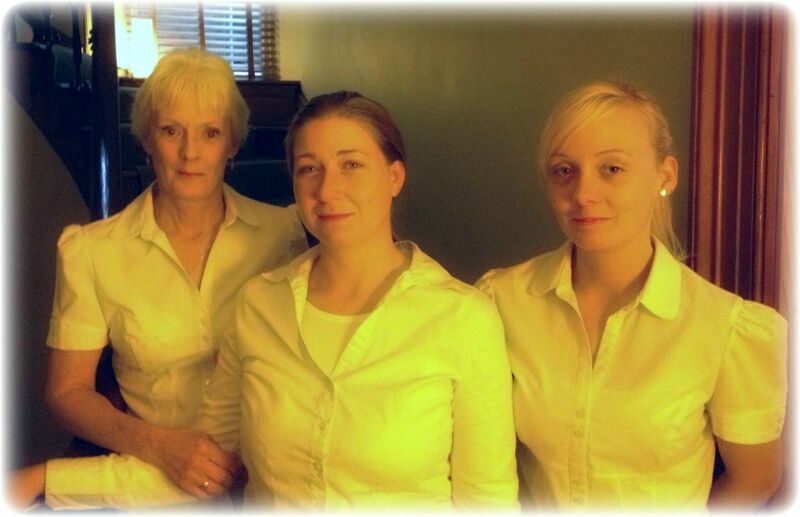 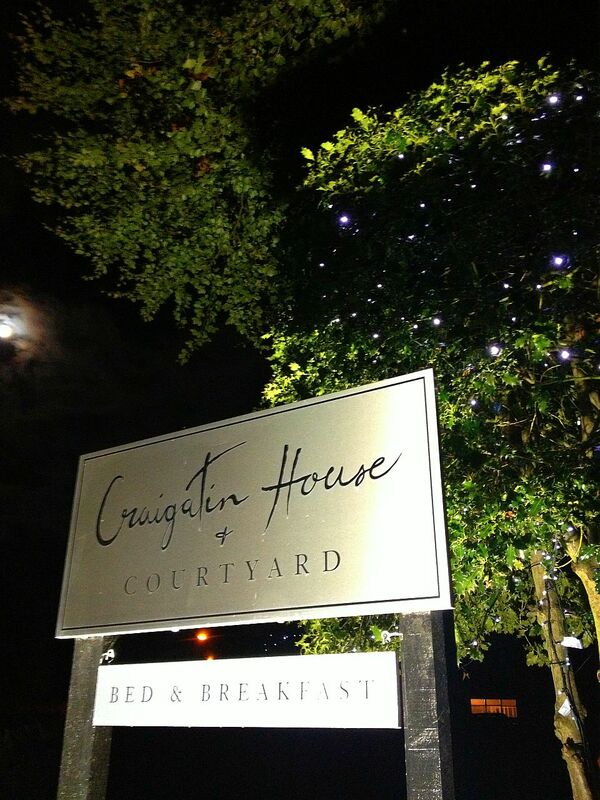 Good morning from the Craigatin House and Courtyard breakfast team! 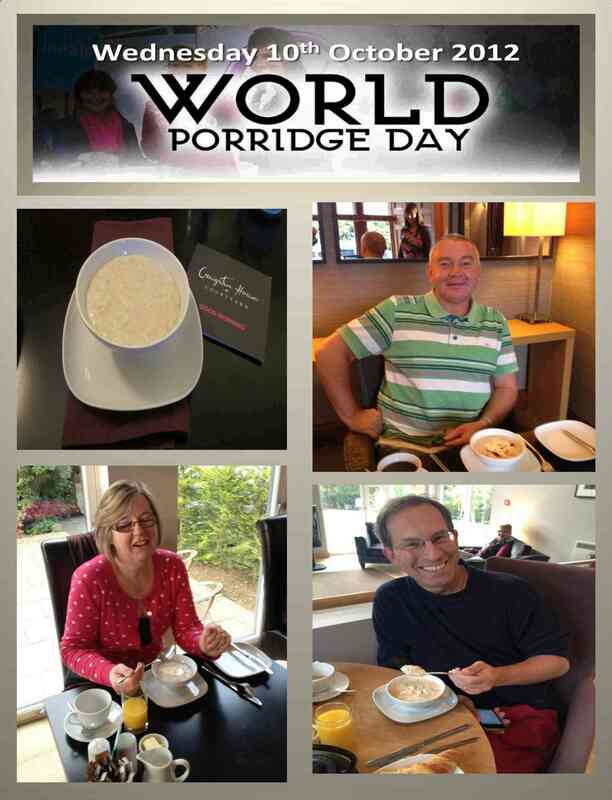 Today Wednesday 10th October 2012, is WORLD PORRIDGE DAY! 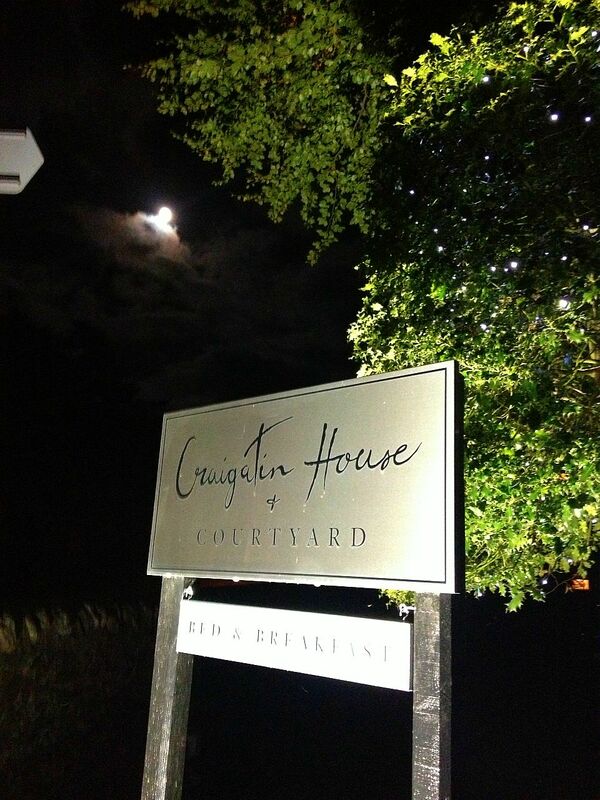 A celebration of Scotland’s national dish! 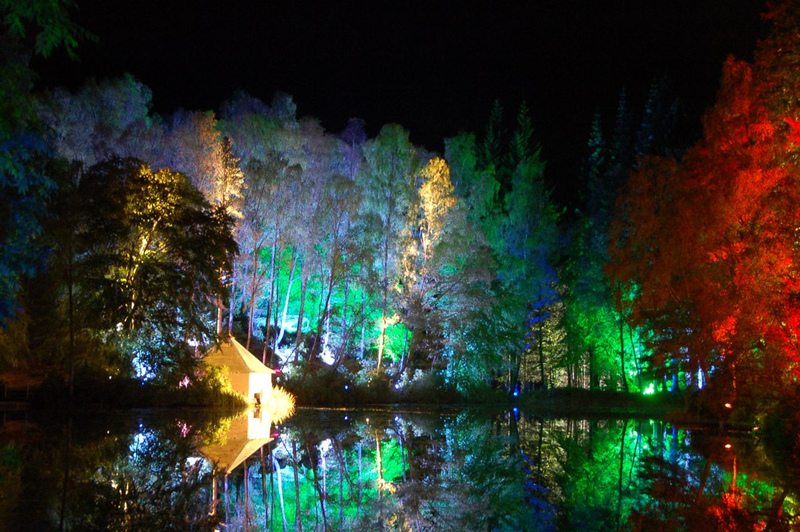 The Enchanted Forest Pitlochry returns to Faskally Woods this autumn to celebrate its 10th anniversary! 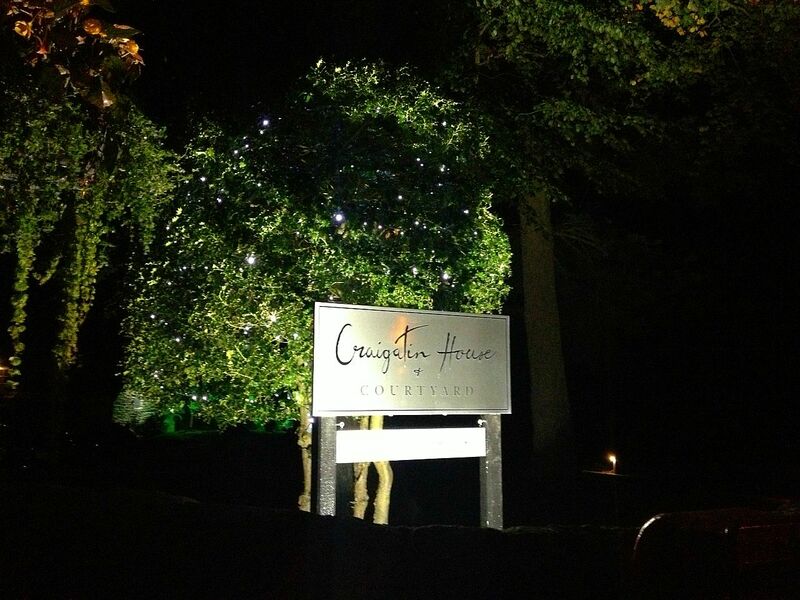 Its on now until Saturday 27th October 2012! 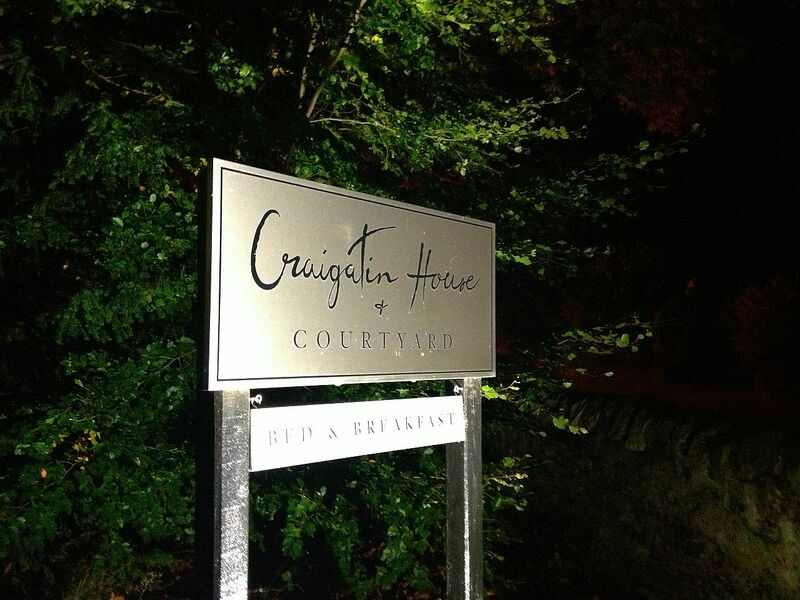 We had no street lights outside Craigatin House Pitlochry last night, making our entrance lighting look even brighter than normal. 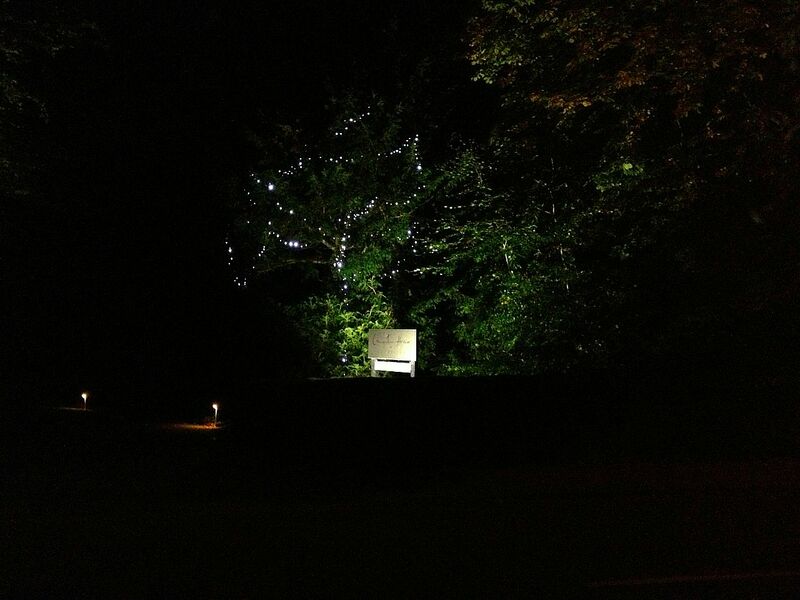 Added to that the strength of light coming from a full moon we were able to capture some good night time shots of the welcome lights on our driveway!